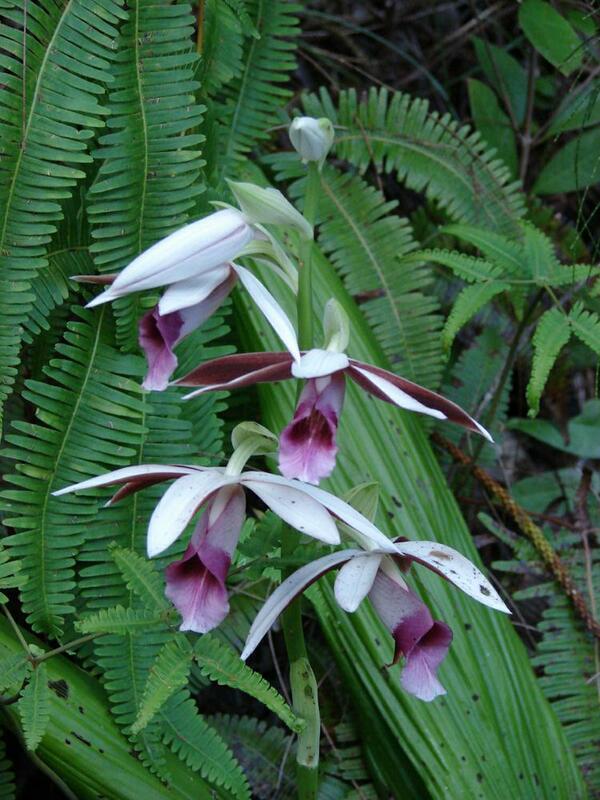 Phaius is a genus of mostly terrestrial, occasionally epiphytic, orchids containing less than fifty different species found in the tropical areas of the eastern hemisphere. 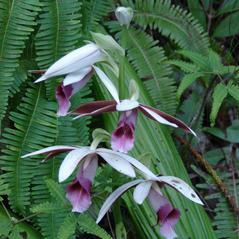 In general they have very short rhizomes, and short stocky pseudobulbs, that are hidden by the base of the leaf. The erect numerous flowered inflorescence has large showy flowers that open up successively, and often have narrow sepals and petals of dark red, yellow, and white to purple-brown. The lip is a distinct tubular shape that has a wavy front margin, often speckled with purple. The flowers of this genera have a variety of unusual color combinations, often resulting in a spectacular effect.